One of the most important jobs for Christian parents is raising children to live Christlike lives. What are some steps to begin that growth? One day while I was visiting a friend I noticed her eight-year-old son wrestling with their dog on the kitchen floor. The dog whimpered in pain. Shortly after that the dog lost its pups. Through the years that incident has stayed in my memory, causing me pain whenever I think of it. Are you thinking my friend was not a Christian? An active church worker, she was considered a dedicated one. How then could she be so unconcerned about her son hurting an expectant family pet? I just don’t know. But I can’t help but wonder how many of us Christians miss the opportunities we have to teach our children to be kind. When my daughter Lori was younger she frequently sniffed and had to blow her nose. Her pediatrician shrugged it off, saying it wasn’t an allergy. He suggested a nose spray which didn’t help at all. Some of the girls at Lori’s school jeered at her about it and made fun of her. Before long, half the children in her class were making her life miserable. No one wanted to play with her, for fear of also being ostracized. Later that day I prayed a lot about what I should do. I didn’t like the idea of giving my child tranquilizers; besides, that wouldn’t solve the problem. As I prayed, the Lord led me to call the principal and explain the situation to her. “What are the names of the girls who have given your daughter the most trouble?” she asked. The principal called each girl into her office and talked to her at length about the situation, and about being kind to others. “Now I want you to go and apologize to Lori,” she suggested. Abashed, the girls did apologize, and after that they tried to be nice to my daughter. Some of those girls were from Christian homes. How then could they be so cruel to another human being? Cruelty is completely contrary to God’s way. The Bible says, “Dear friends, let us love one another, for love comes from God. Everyone who loves has been born of God and knows God. Whoever does not love does not know God, because God is love” (1 Jn. 4:7, 1 Jn. 4:8). It also says, ” . . . love is kind” (1 Cor. 13:4). Cruelty, on the other hand, is a form of hatred. It usually springs from selfish motives: I want to enjoy myself and I don’t care who or what it hurts; it makes me feel big when I make another suffer or feel little! Cruelty reveals its fangs in the cutting words or remarks some people make. It cuts others down. The best way for us to teach our children to be kind and thoughtful is by setting the example ourselves. By recognizing cruelty in our own natures we take the first step toward overcoming it. The second step in overcoming cruelty is to submit ourselves to the Lord and ask Him to fill us with His Spirit. The fruit of the Spirit is love and kindness (Gal. 5:22). The third step is to pray daily that the Lord will fill our hearts with His love and kindness. Being kind and thoughtful doesn’t come naturally to children, any more than it does to us. They can be taught by example, precept, and on-the-spot discipline. From hurting animals to hurting people is a natural extension of cruel action. The feeling of power experienced in hurting animals gives impetus to hurt people. The indifference to pain we cause an animal calluses our feelings toward fellow human beings. If our child speaks or acts unkindly to another child, that is the time to take him aside and talk to him about love and kindness, of being like Jesus. But telling our children is one thing and training them is another. Training goes deeper into a child’s soul and helps him practically to overcome a tendency toward cruelty and to cultivate kindness as a way of life. Let’s consider some specific exercises we can propose to our children to help them overcome cruelty. We can suggest these as Christian adventures that can help us to become more like our wonderful Jesus, who cared enough for us to come to earth to rescue us from our sins. The rescuer—Jesus’ messenger of love. “Do not be overcome by evil,” Paul wrote, “but overcome evil with good” (Ro. 12:21). Encourage your child to look for opportunities to prevent cruelty. Suggest that he take the part of someone who is being teased or otherwise mistreated, but to be sure to do it in a nice way—like saying, “Aw, come on, Eddie! Let’s not be mean to Clarence. After all, he’s a boy just like us!” Suggest he befriend the outcasts, even as Jesus befriended us. The “good-for-evil” adventure. If you have ever had an opportunity to return good for evil to someone and the result has delightfully surprised you, share this story with your children as an incentive for their doing the same. “Love your enemies,” Jesus said, “do good to those who hate you” (Lk. 6:27). If children follow through on this, their action will effectively stem feelings of hatred and anger that may have arisen in their hearts, and they will discover how much more satisfying it is to be nice instead of returning cruelty for cruelty. Learning the power of prayer. Jesus also advised His followers to “pray for those who mistreat you” (Lk. 6:28b). Encourage your children to do this during family devotions. It’s hard to hate someone for whom you pray! And cruelty usually springs from hostile feelings a person may have. As our children learn to pray for anyone who hurts or offends them, this practice will prove a powerful antidote to the upbuilding of hostility in their souls. Testimony time. Jesus told one man, “Go home to your family and tell them how much the Lord has done for you, and how he has had mercy on you” (Mk. 5:19). When you challenge your children to put into practice the above suggestions, tell them that you’ll give them an opportunity to share with the family their experiences. Their telling of the events will not only impress on their minds the rightness of what they have done, but also will give the family an opportunity to discuss the experience and encourage the teller. The Golden Rule. Jesus said, “In everything, do to others what you would have them do to you” (Mt. 7:12). The law of kindness is woven into this splendid instruction for a wise and happy lifestyle. Would we want to be treated unkindly? Of course not! Would we desire for people to show kind consideration to us? Of course! During family devotions periodically invite your children to suggest ways in which they can show kindness toward members of the family and others. Then follow through and encourage or help them put their ideas into action. Discussion of ideas presented may enhance the importance of showing kindness to others in every area of life. Family harmony. Discuss 1 Pet. 3:8: “Finally, all of you, live in harmony with one another; be sympathetic, love as brothers, be compassionate and humble.” How can we live in harmony with one another? Where are we not showing kindness to one another? Why don’t we try living one day with one another with love and kindness toward each other at the top of our minds? . . . and then another day . . . and another! Be sure to pray for God’s help in this venture. And get feedback at family devotions on the day after your first family attempt to live in love and harmony. Practicing forgiveness. 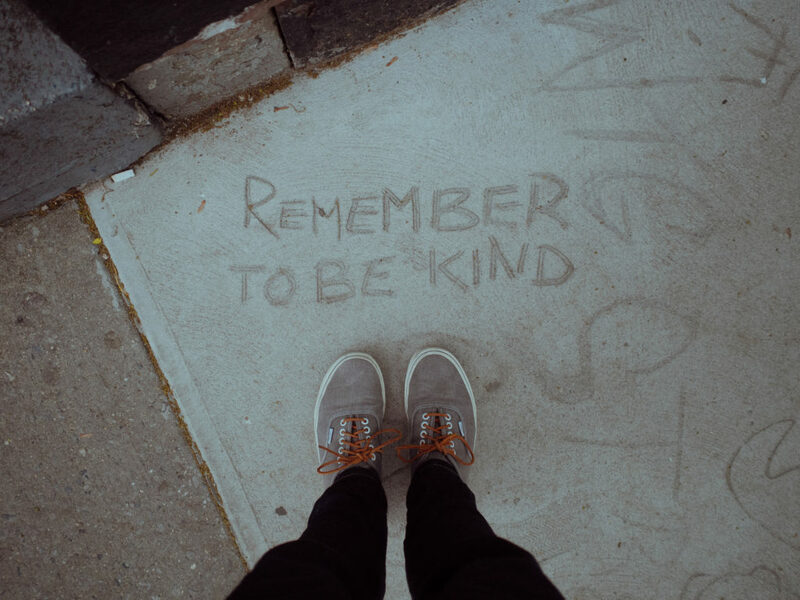 One of the greatest passages in God’s Word pertaining to kindness links God’s great kindness and forgiveness toward us with our having it toward one another: “Be kind and compassionate to one another, forgiving each other, just as in Christ God forgave you” (Eph. 4:32). The word “Forgive” written in dirty vintage letterpress type on a aged wooden background. Periodically during devotions explain Eph. 4:32 and other principles of forgiveness. Then give your family opportunity to air their grievances toward other people and encourage them to forgive those who have offended them. 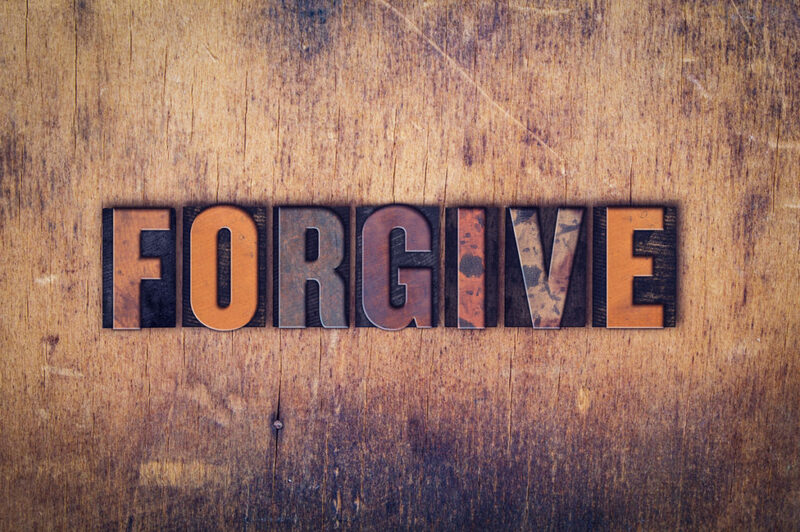 Forgiveness is a vital necessity of the Christian life. As long as a person harbors a grudge toward another, that person cannot be right with the Lord. And when bitterness and resentment enter in, so does the devil. And out goes kindness! This syndrome is one of the great destroyers of families. But by training our children (and ourselves) in the necessity of forgiveness and kindness in our everyday lives, we are all strengthened spiritually. Through Moses God gave His people a ritual to go through yearly with their children so that it would remind them of God’s power and what great things God had done for their people (Ex. 13:8–16). The Jews still follow this ritual. God also commanded that His words be in the hearts of His people. He urged them to teach them diligently to their children, to talk of them continually, and to post passages of Scripture around their homes. Christian parents can use this same method with their children in teaching them compassion and kindness, as well as other Christian qualities. Why not have your children memorize the verses mentioned in this article? Say them at your family devotions together. Then prepare a list of questions your children can answer with these Scriptures. “For precept must be upon precept, precept upon precept; line upon line, line upon line; here a little, and there a little,” says Isaiah 28:10 (KJV ). So we train our precious children to someday be kind and thoughtful Christian citizens and loving husbands and wives. Muriel Larson is a freelance writer housewife and mother living in Greenville, South Carolina. This article was originally published in issue 27 of Discipleship Journal. She has authored several books, including Joy Every Morning (Moody Press, 1982). Suggested reading: Jay E. Adams, Christian Living in the Home (Presbyterian & Reformed, 1973); Gordon MacDonald, The Effective Father (Tyndale House, 1983); Elsiebeth McDaniel with Lawrence O. Richards, You and Children (Moody Press, 1977); Lawrence O. Richards, You the Parent(Moody Press, 1974); Jerry and Mary White, Growing Together (NavPress, 1985); Linda Raney Wright, Raising Children (Tyndale House, 1975). There are many ways children can show kindness to others. What ways do you find in each of the following passages? 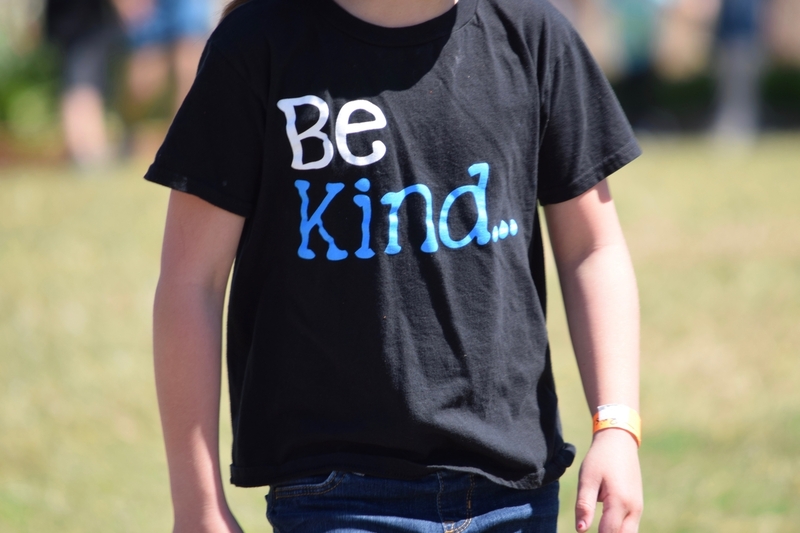 Write below the names of several specific friends your child has who especially need kindness. Pray for your child’s relationships with these friends, and help your child become aware of their needs. Set aside time once each day in the coming week when you and your child can talk quietly together about his friends and how he can be kind to them. You might ask him to think of specific things he can do—one or two each day—to apply the lessons of the verses above. Ask your child to match up acts of kindness listed above with those friends who most need them, then help him to make a list of those and to keep track of when he has acted on each one. List below some acts of kindness you can do for your child this week that he might then be able to do toward others. Record your child’s responses to each kind act you do for him.